Traditionally, field service has typically been a combination of scheduled preventative maintenance site visits and reactive break-fix service calls when problems are reported by end users of the systems. Field service is measured and managed by the number of calls or labour hours. In the reactive model, all too often by default it is the end user of the system who is responsible for reporting system issues. Increasingly, system owners want to measure and reward based on outcomes and performance - for example, basing field service success against a service level commitment on system uptime. Success in the new outcomes-based model is based on real-time visibility to people and equipment, and proactively optimizing activity and outcomes based on real-time information. Technical service organizations are recognizing and investing in this major trend to proactive service. A global survey of field service by the Technology Services Industry Association shows that proactive service is top priority for investment. 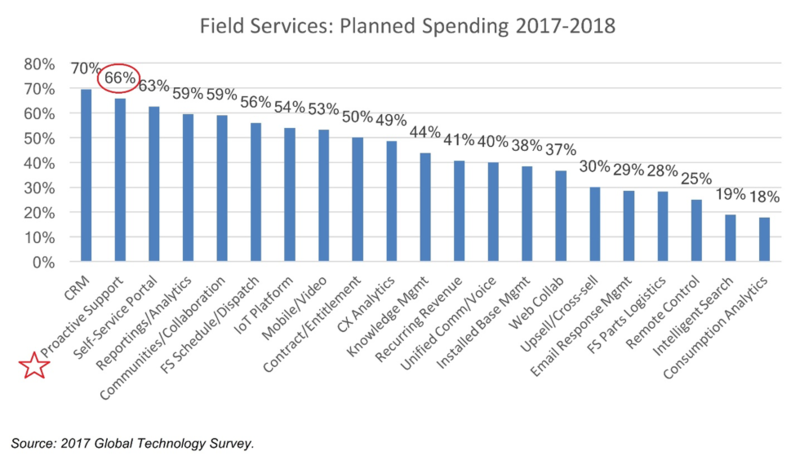 The table below shows that 66% of field services plan to invest in new or additional proactive support technology over 2017-2018. Controlling costs – Avoid sending technicians to do site visits when everything’s working fine, and when there is a problem to help ensure the truck rolls with the tools and parts to fix the issue first time out. Raise service quality – Monitoring works continuously and can alert field service teams when a problem first happens. This just-in-time approach allows faster resolution and reduces system downtime. Increase efficiency – In some cases an issue can be identified before it becomes a problem that impacts users and system performance. Having the information to recognize these trends allows field service to resolve them in advance – wouldn’t you rather dispatch a technician on a Tuesday afternoon than the following Saturday at 2am? Gather insight – Data is a key to value-add and competitive differentiation in many industries today, and field equipment and service is no exception. By collecting and seeing detailed continuous information, you can glean new insights and opportunities you would not have been able to get from manual maintenance processes. Transform business model – Moving to a proactive approach enables new ways of managing and measuring field service effectiveness. System maintenance and services can be based on proactive support programs tied to outcomes like system uptime, or even on a utility basis. The world of field service and system maintenance is changing quickly from the long-standing break-fix model. Successful field service is changing to proactive services, and benefiting from the innovation that can come from being focused on data and outcomes more so than activity. Here at Rimot we are focused on enabling technical service teams to be proactive. Our remote monitoring platform monitors equipment at remote locations, delivers prompt notifications when critical thresholds have been reached, provides information to dispatch technicians with advance knowledge into the problem, and analyzes on-going system performance data. Our RimotRF monitoring enables RF field service teams to be proactive in maintaining wireless transmitter and repeater sites. 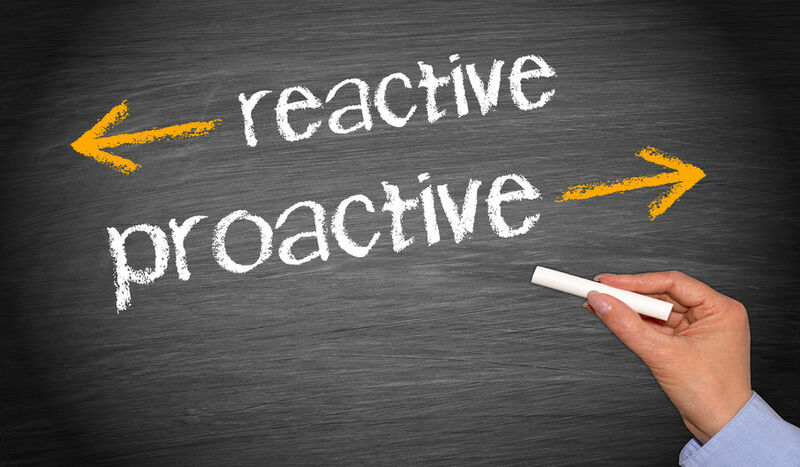 Contact us to see how can Rimot help you be more proactive.